Avengers: Infinity War is just the beginning. With a lot of people making a bunch of speculations, we decided to hop on the bandwagon, and made our own speculations. Forget about going back in-time and rendering all previous films effectively meaningless, and instead of directly copying another certain Marvel movie that followed that same premise, here are Earth's Mightiest Heroes ... trying to rebuild the Infinity Stones? Welcome back to Dateline Movies, and get ready for a mildly long post, because it is time for us to show you what we believe is the "official" plot of the Untitled Avengers Sequel! Just remember that this entire post is primarily based on OUR speculations, as well as speculations made by various other Internet theorists, so the plot below being "official" is a huge stretch. And since we are not sure if any of our and others' predictions might really be correct, be wary of some potential spoilers! 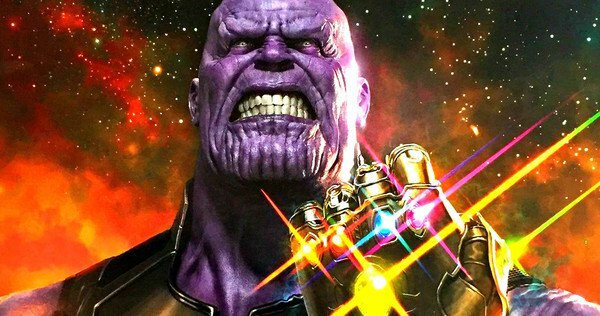 Thanos' genocidal plans for population control have come to fruition, as half of reality is disintegrated out of existence, and now the entire universe is in a state of disarray. Endangered species all across the cosmos are now also effectively extinct. His infamous "snap", however, resulted in the destruction of the Infinity Stones, as the energy released was too strong for the stones and the Infinity Gauntlet to handle. The destruction of the Infinity Stones resulted in each of their respective energies scattering to different locations everywhere, from the Dark Dimension, to the Quantum Realm. Some such as the dread Dormammu are attempting to remake the stones for their own uses. Thanos finds his initially stable agricultural life in the "Soul World", the pocket dimension stored inside the Soul Stone, shattered. The souls of those who were killed, including James Buchanan "Bucky" Barnes / White Wolf, T'Challa / Black Panther, Samuel "Sam" Wilson, Wanda Maximoff / Scarlet Witch, Groot, Mantis, Peter Quill / Star-Lord, Drax the Destroyer, Doctor Stephen Strange, Peter Parker / Spider-Man, Nicolas "Nick" Fury, and Maria Hill, have started to wander around aimlessly as the afterlife is running out of places for the dead, to the point that dying is impossible. To keep the balance in-check, Thanos assembles the latest incarnation of his Black Order. Five Years Into the Future! The remaining Avengers, as well as Emil Blonsky / The Abomination, Samuel Sterns / The Leader, Adrian Toomes / Vulture, Helmut Zemo, and Karl Mordo, all who wish to extend as much help as they can, head straight to space in the latest of Tony Stark's inventions, "Damocles Base", a sword-shaped, fully upgraded S.H.I.E.L.D. helicarrier. The vessel, made with the use of the Time Stone, which has been duplicated by Doctor Strange prior to his own death, is able to move across time and space, and remain hidden from any potential threats. Tony built the spaceship as a larger, portable particle accelerator, complete with upgraded technology provided by the current queen of Wakanda Shuri, for the remaking process, and it resembles the one Tony used to make his own element, humorously dubbed "Badassium". They also plan on making use of the compressed nature of the Quantum Realm in order to make the energies easier to contain. Tony, Steve Rogers / Captain America, Bruce Banner / The Hulk, Thor Odinson, Natasha Romanoff / Black Widow, Clint Barton / Ronin, Lt. Col James Rhodes / War Machine, Brunnhilde / Valkyrie, Nebula, Rocket Raccoon, Wong, Scott Lang / Ant-Man, Hope Van Dyne / The Wasp, Carol Danvers / Captain Marvel, Shuri, Korg and Miek, and Okoye / Black Panther guard Damocles Base. The station orbits over Vormir, as Tony notes that the energy signature in the area is enough to power-up the particle accelerator. Thanos unleashes a massive energy surge in Vormir and generates a field of electricity around the planet, preventing anyone else from also harvesting the power of the Soul Stone. The blast interrupted the heroes and villains' remaking process. The experiment fails, and the blast teleports almost each of them to random locations. At this point, the story unfolds through three specific perspectives, with the first one being aboard Damocles Base, the second being in Vormir, and the third being on Nidavellir. Each of the six founding members of the Avengers get to have their own subplots. Each group is able to keep in-touch through their handheld communicators. and Lt. Col. James Rhodes / War Machine. Tony, reverting back to alcoholism due to his traumatic experience on the planet Titan, makes use of his "Binarily Augmented Retro-Framing (B.A.R.F.)" technology to search for any hints from past adventures on how to defeat Thanos. Eventually, he learns that his father, Howard Stark, who researched on The Tesseract, the artifact that formerly housed the Space Stone, based the chemical makeup of Badassium on the incomplete structure of the Space Stone itself. His discovery of this, and the recreation of the Space Stone, is what leads the heroes and villains one step closer to victory. Its creation also made Thanos aware of their base's location by the climax of the story. Tony and his team are one of the two teams that were not teleported elsewhere, and handles much of the science needed to keep their mission going, and they guide Steve and Clint's groups on their respective missions. His team includes F.R.I.D.A.Y. / Jocasta, Karl Mordo, and Wong. Bruce butts heads several times with The Hulk over the course of his adventure, as The Hulk's fear of being defeated again by Thanos remains an obstacle for the group. During his journey to obtain the energy needed to make the Power Stone from the Dark Dimension through a portal on Vormir that is made by Dormammu, who is tasked by Thanos to devour the other souls into oblivion. The Hulk and Bruce eventually learn to work together, on the condition that Bruce can never revert back to his normal form again, which he readily accepts. Bruce and his team are one of two groups trapped in Vormir due to Thanos' intervention. After no longer becoming Bruce, The Hulk manages to gain the intelligence of Bruce, while preserving his enhanced strength. Suffering from a mental breakdown after watching his entire family disintegrate in front of him, Clint embraces the darker persona of Ronin. After retrieving the energy for the Mind Stone, Clint and his team battles the resurfaced, and newly enhanced Ultron, whose consciousness has been preserved in a mysterious space satellite prior to being destroyed on Earth in 2015. Together, they fight to eliminate Ultron from Damocles Base in an isolated area of the ship, while also having to deal with Ultron's newly controlled "Iron Legion". Clint and his team are one of two groups transported elsewhere, and they have been gone for almost five years, but Tony and the rest only thought he disappeared for an hour. His team unknowingly retrieves Ultron's consciousness at the beginning of the movie, and it is their actions that lead to Ultron controlling a small portion of Damocles Base. Still suffering from survivor's guilt, and finally looking forward to completely redeeming herself, Natasha and her team find themselves at the mercy of Tanaleer Tivan / The Collector, the original keeper of the Reality Stone whose tampering with the stone resulted into him gaining reality-warping abilities. He is now completely deranged after Thanos, who also held him captive after seeing some use for him, destroyed his entire exhibit, his life's work, and he seeks to cope with the losses by turning Nidavellir into his latest "museum". They must now secure Eitri's second Infinity Gauntlet, and bring it to Vormir. Natasha and her team are one of two groups transported elsewhere. Their deus ex machina-like arrival at the near-end of the film is what finally closed this story. His team includes Emil Blonsky / The Abomination, Hope Van Dyne / The Wasp, and Samuel Sterns / The Leader. Having a hard time letting go of the many things that transpired in his life, Steve and his team are given the duty to protect Tony and his own team from Johann Schimdt / Red Skull, the former guardian of the Soul Stone who has now regained his freedom, and is aiming to exact his vengeance on Steve once and for all. Steve argues with Tony over their communication relays due to past differences, while he also has to deal with Red Skull tampering with the Time Stone, which causes Steve to revisit flashbacks from way back when. Steve and his team are one of two teams to not be transported elsewhere. They also hunt down Red Skull in another isolated area of Damocles Base. In addition, Blonsky and Sterns make a failed attempt to betray Steve. His team includes Carol Danvers / Captain Marvel, Korg, and Miek. Fueled with rage for Thanos' crimes, Thor and his team set-out to recover the Soul Stone energy that is hidden beneath Vormir. Thor eventually learns that the planet is also the gateway to Valhalla, and he and his comrades seek out allies in the form of the undead to help them in their fight against the Mad Titan. He and his friends have to deal with a mind-controlled Gamora, who has forgotten about her heroic life thanks to Thanos' machinations. Their secondary objective is to also slay Thanos. Thor and his team are one of two groups trapped in Vormir due to Thanos' intervention. Thor successfully assembling an army is one of the factors that lead to their victory. With The Collector, Dormammu, Red Skull, and Ultron defeated, the Reality, Power, and Mind Stones are successfully rebuilt with the particle accelerator. Tony makes a last-minute discovery through the Space Stone, but the powerful blast of energy from the stone alerted Thanos to their location, and he sends-out all of Dormammu's forces to haunt him and his friends. Tony and the rest battle their way with the use of Damocles Base to Vormir, and they eventually crash to where Hulk and Thor's teams are fighting Thanos. Despite not having any stones for enhancements, Thanos is able to hold-up. As the Soul World is already full of spirits, therefore no longer accepting any sacrifices, Carol makes use of her energy-based powers to absorb and disperse the Soul Stone energy. Because of her knowledge of the Quantum Realm's mechanics, she is able to compress all of the energy into one stone, finally rebuilding the Soul Stone. Carol is eventually tired-out, and is no longer able to continue battling. The stones still need the Infinity Gauntlet to officially perform their functions. Natasha and her team make it in a nick of time, and it is the Hulk, taking Carol's place, who manages to undo everything that Thanos did, at the cost of his own life. Steve, after mending fences with Tony, also dies in the line of fire when he, deemed worthy of Thor's powers, sacrifices himself to distract Thanos, who crushes his head. Natasha dies on her team's ship that crash, dying with dignity knowing that she has wiped "the red in her ledger" away. Nebula is also among the casualties, as she willingly sacrifices herself for Gamora to snap out of Thanos' control. Tony, by overloading his Arc Reactor to cosmic levels, kills a remorseful Thanos, who only feels guilt for his treatment of his favorite daughter, and himself in the process, finally putting an end to the "Infinity War". Everyone that disappeared during Thanos' original attack have returned, seemingly with no memory of what they have experienced in the afterlife. However, the heroes who died but not due to Thanos' reality-warping genocide, except for Gamora, whose soul was trap in Soul World, remain deceased. The heroes and villains return to Earth through Thor's "Stormbreaker" weapon, which allows teleportation. Everyone is grateful for everything the heroes did, but they also saw what it cost. Only two of the founding members of the Avengers remained, and the world mourned. Yet the world still needs saving, and the New Avengers are formed. The effects of Clint's apparent "time travel" had an effect, and as such, Wanda's brother Pietro Maximoff / Quicksilver is alive and well. Bucky is now the new Captain America, Rocket returns to the reassembled Guardians of the Galaxy, his family, Thor gathers the last of the Asgardians to form a new Asgard in Norway, Doctor Strange embraces his role as the official Sorcerer Supreme, Clint returns to his Hawkeye persona and acts as the mentor to the New Avengers, Peter Parker returns to his Aunt May. And there you have it, our entire lengthy post on how we believe the Untitled Avengers Sequel will go down. I would personally like to give credit to these three sources, especially to the users at Reddit whose number is just too many to mention here. Be sure to listen to one of the best songs from the official score of Avengers: Infinity War before you leave, and stay tuned for more Dateline Movies!